You can add unlimited Slider Item that has individual options. Background Image : Select or upload your slider background image. First Line Text : Set text for heading. Show second line Text : Enable this option if you want to set text for sub-heading or short description. Second additional Text : Set text for sub-heading or short description. Show Button : Enable this option if you want to have button on this slide. Button url : Fill the link of page to follow when clicked. Upload Background : Select or upload your slider background image. Background Fallback Image : Select or upload image background for slider to display if video doesn’t load properly. OGG format Video : Select or upload OGG video format. Use Static Video Background instead Parallax : Enable this option if you want to make global background on section transparent background. Overlay Background Color : Set background overlay color with solid or tranparent color. Button text : Set text for button when clicked will scroll down to content under the Landing Slider. Use light text color : Enable light text color if you use dark background. 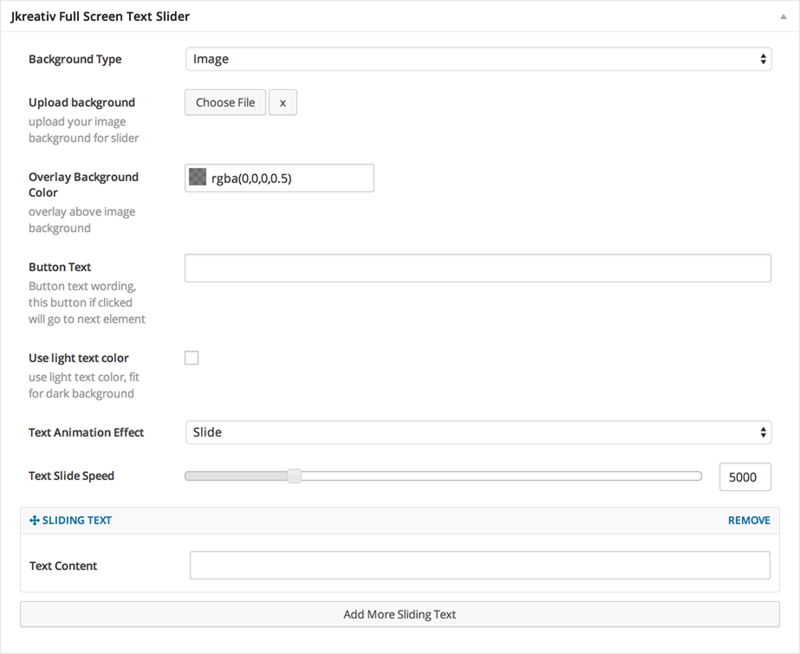 Text Slide Speed : Set number of slide animation speed of text if you choose Slide Animation. Text Content : Fill your main text content for text slider item. 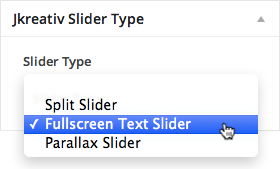 Fullscreen Parallax Slider : Enable this option if you want to use fullscreen mode. 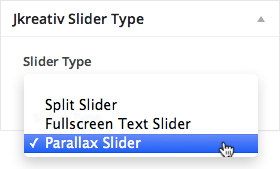 Autoplay Parallax Slider : Enable this option if you want to make autoplay the slide animation. Autoplay Delay : Set number of slide animation delay in millisecond. Parallax Image Background : Select or upload image background for slider item. Main Text : Insert text for heading title. Alternate Text : Insert alternate text for sub-heading or short description. 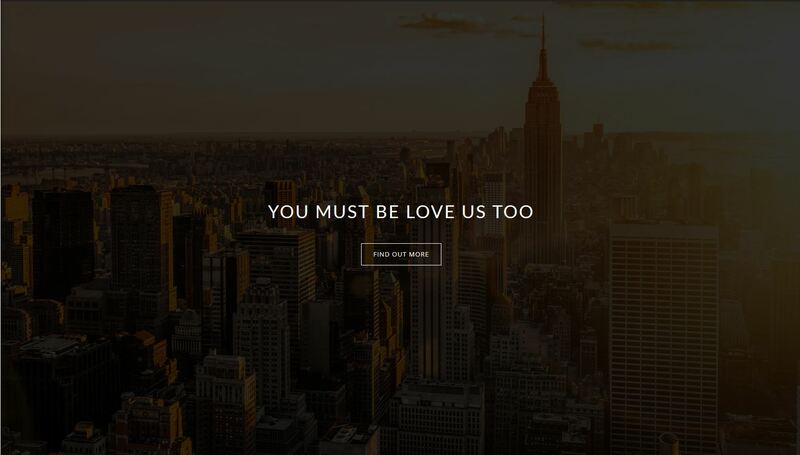 This is simple parallax heading option that will have 2 text you can fill. It’s good use for your page title. First Text on Heading : Insert text for heading title. Second Text on Heading : Insert alternate text for sub-heading or short description. Use Light Heading Text Color : Enable light text color if you use dark background. Heading Background : Select or upload your slider background image. 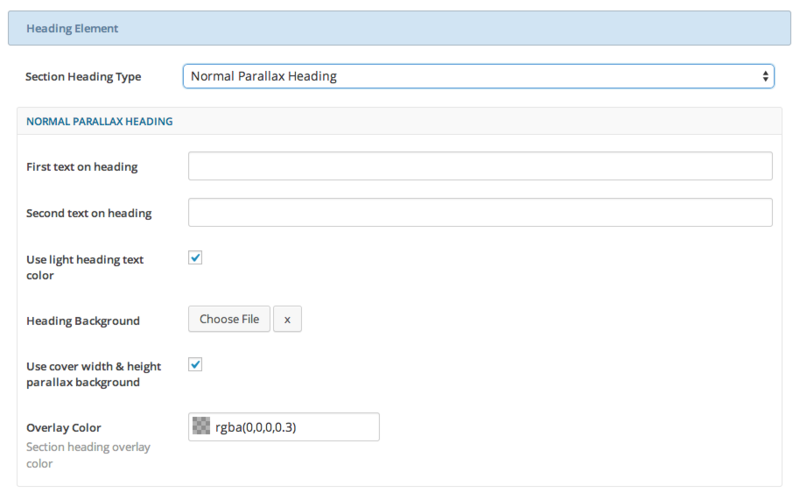 Use Cover Width & Height Parallax Background : Enable this option if you want to set cover width and height parallax background. Overlay Color : Set background overlay color with solid or tranparent color. 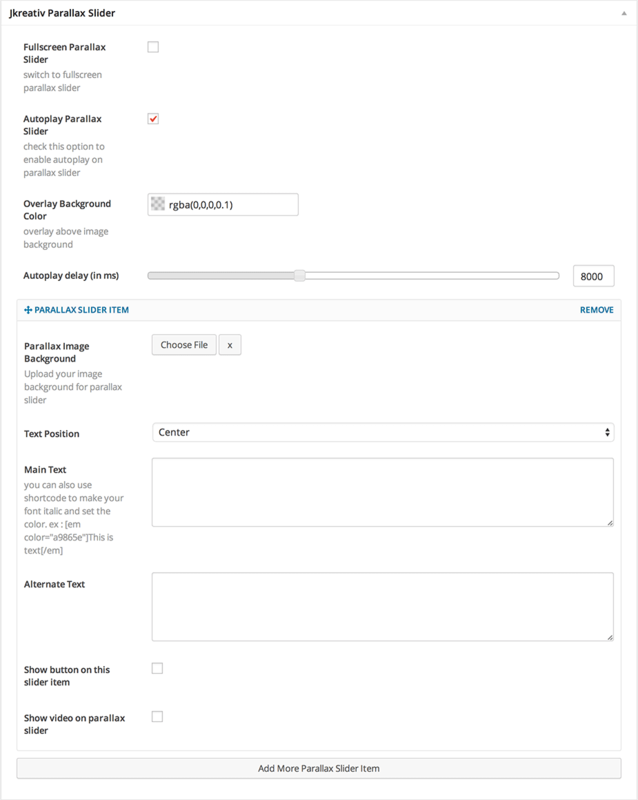 By using Shortcode Heading, you can put Revolution Slider or any other slider to build heading slider that you need. On Landing Page we provide two additional option for navigation which is Horizontal Bottom Navigation and Landing Navigation especially on this page template. We also provide Horizontal Bottom Navigation position on Lading Page, only if you’re using Top Navigation position. So you can put your Top Navigation on bottom section of the Landing Slider on your Landing Page by enabling this option. When your browse on long Landing Page, which part of website you currently and how long you currently scrolling. We provide feature to give your user easy access, and know what section available. 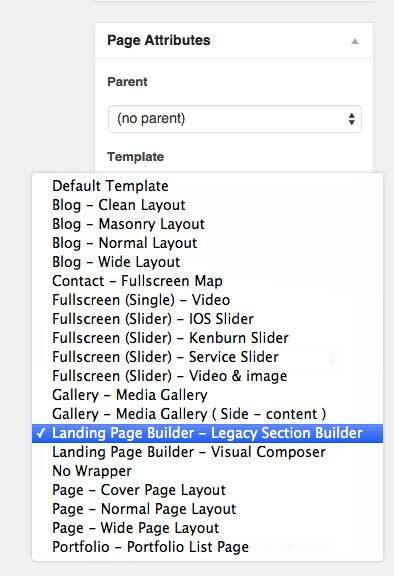 You can easily use this feature just by adding Section name on your section builder. On this option we provide 2 type of Landing Navigation which is Rectangle (by default) and Circle. 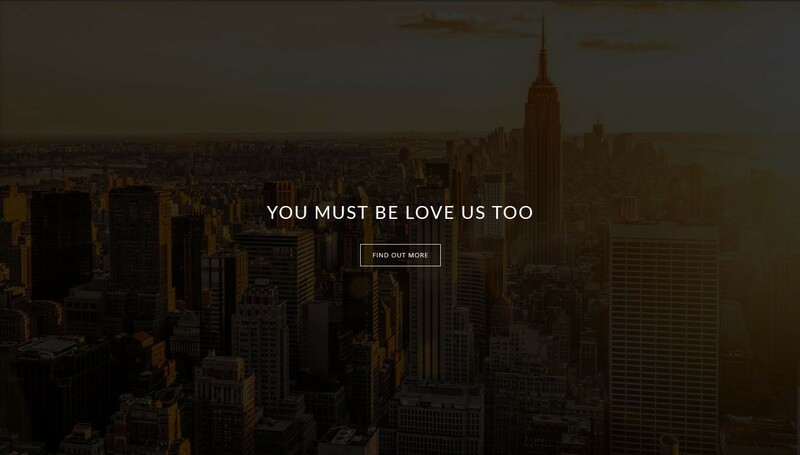 We provide you an option to disable footer on this template. 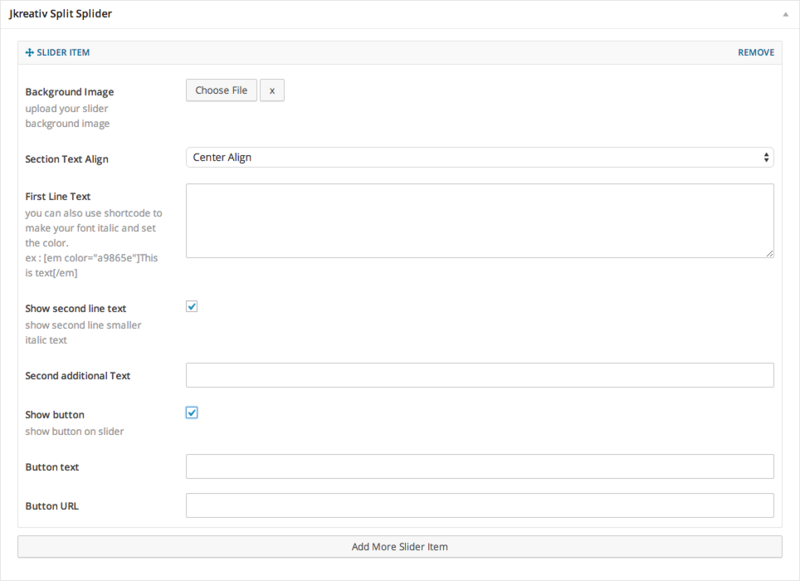 By enabling this option footer element will doesn’t occur and your setting on General Setting for footer element will override. 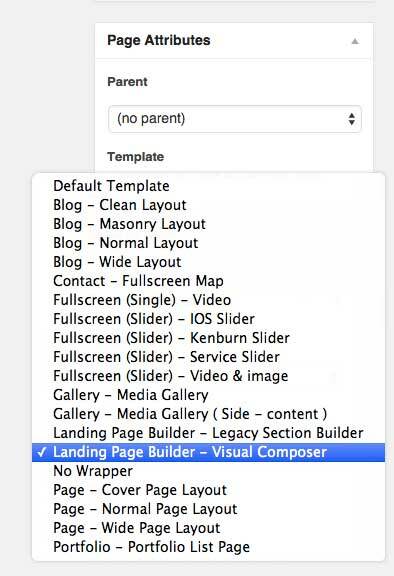 As we said on above previously, JKreativ themes comes with two options in creating unique page, which is Section Builder and Page Builder that using Visual Composer Plugin. You can use one of them to create you Landing Page and generally both of Landing Page template have same option to create several element such as Testimonial, Progress Bar, Service Element and etc. Landing Page Builder For more detail information you can take a look on Legacy Section Builder Elements and Visual Composer Elements.